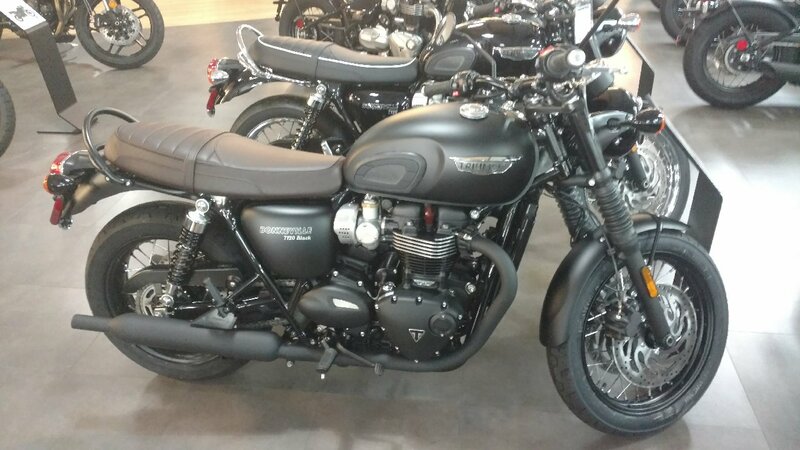 Unique Blacked-Out Detailing: Fully blacked-out details and components include wheel rims, grab rail, engine covers, mirrors, headlamp bezel, indicators and exhaust. 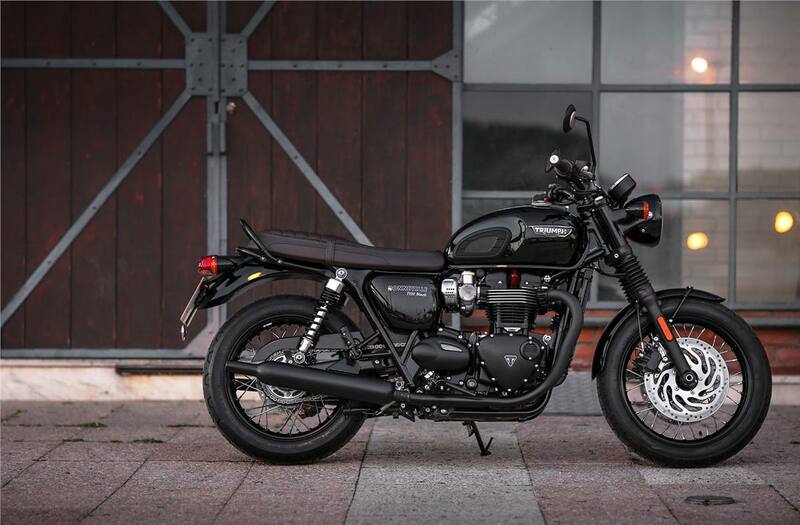 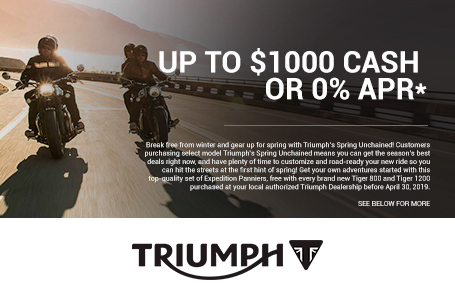 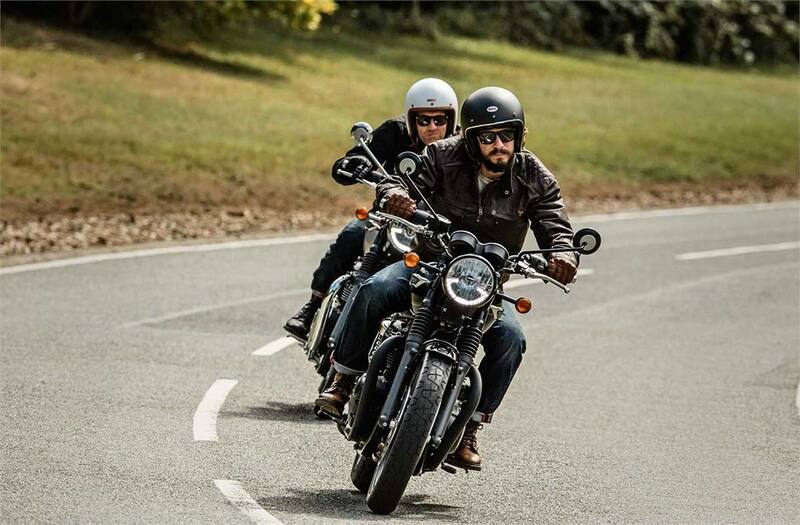 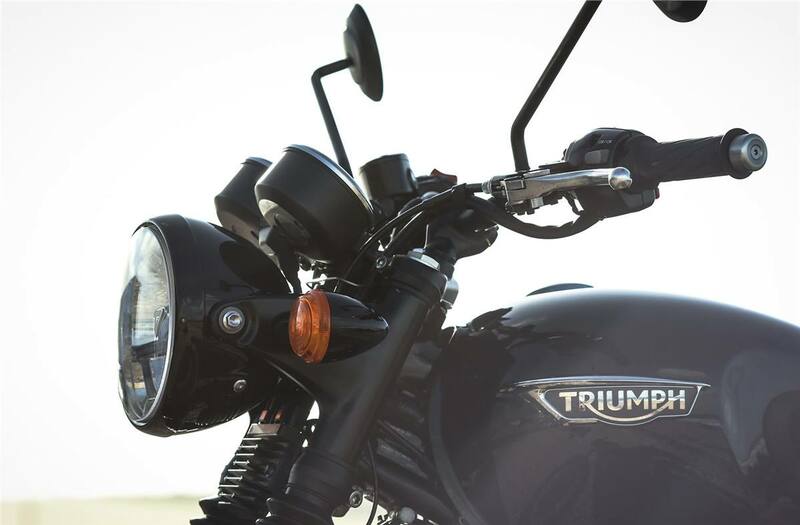 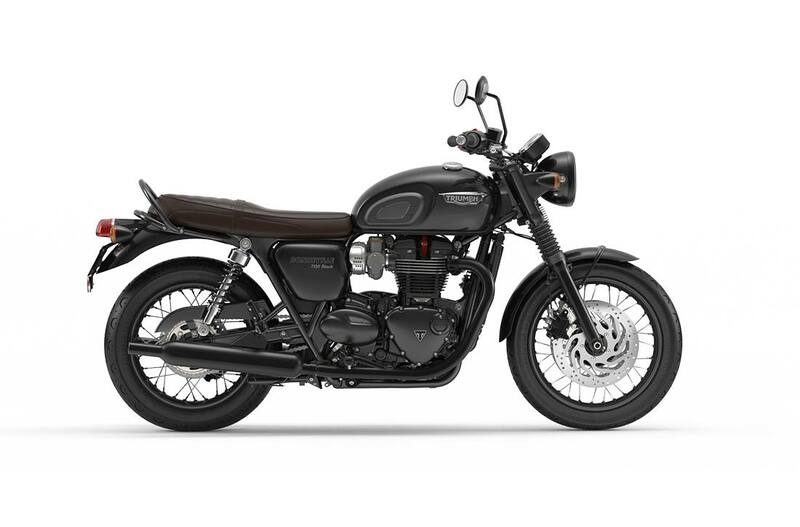 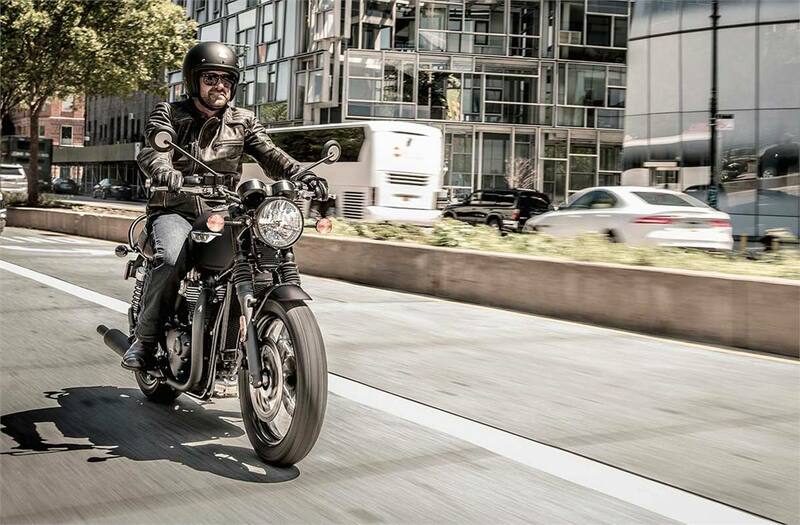 ABS: The contemporary motorcycle safety standard, Triumph’s latest generation anti-lock braking system sets the standard for control to the Bonneville T120 Black. 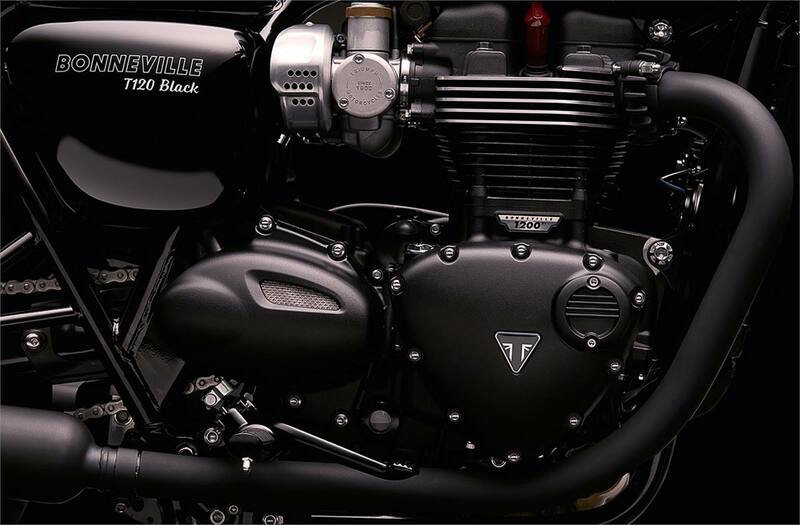 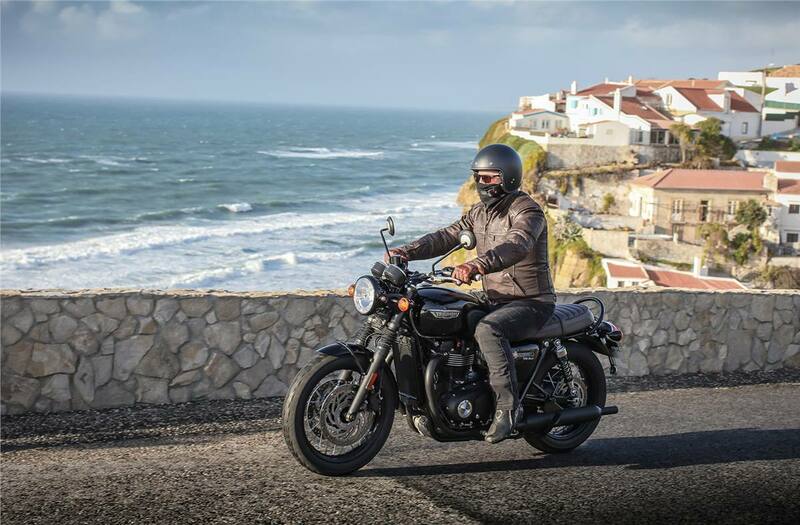 Ride-By-Wire: The Bonneville T120 Black’s electronic ride-by-wire system enhances the throttle control, responsiveness and feel. 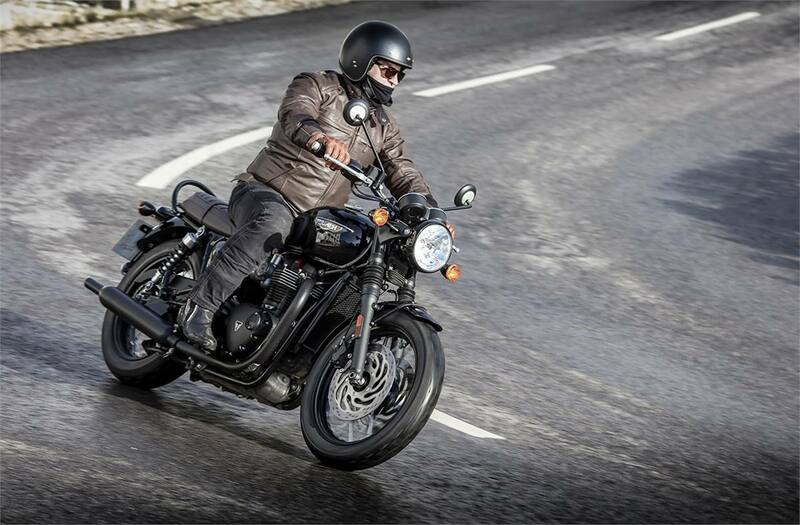 Traction Control: Taking advantage of the sophisticated ride-by-wire system, the T120 Black incorporates a switchable traction control system that optimises the delivery of its class-leading torque. 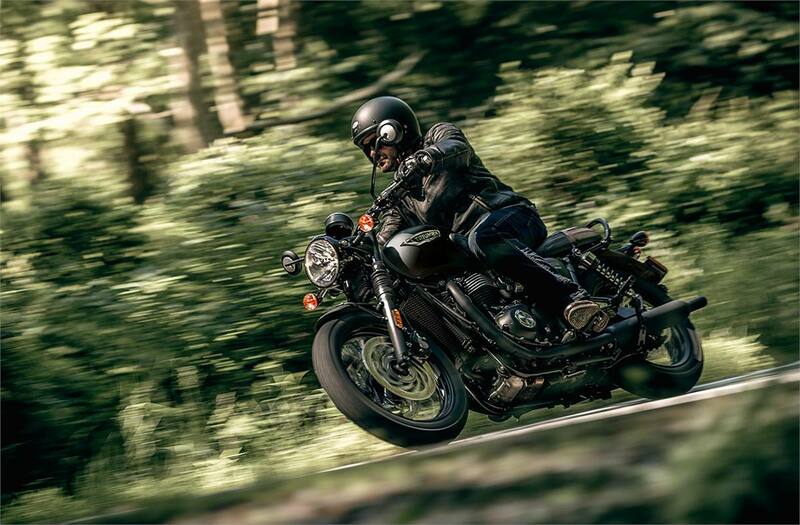 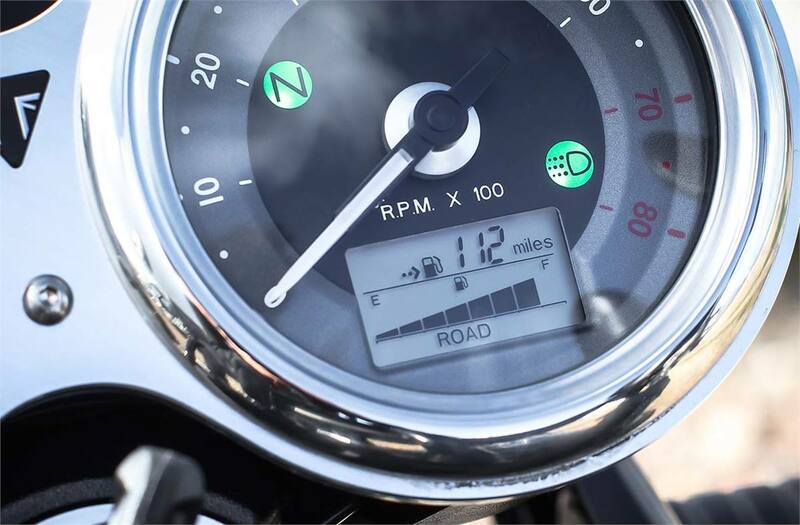 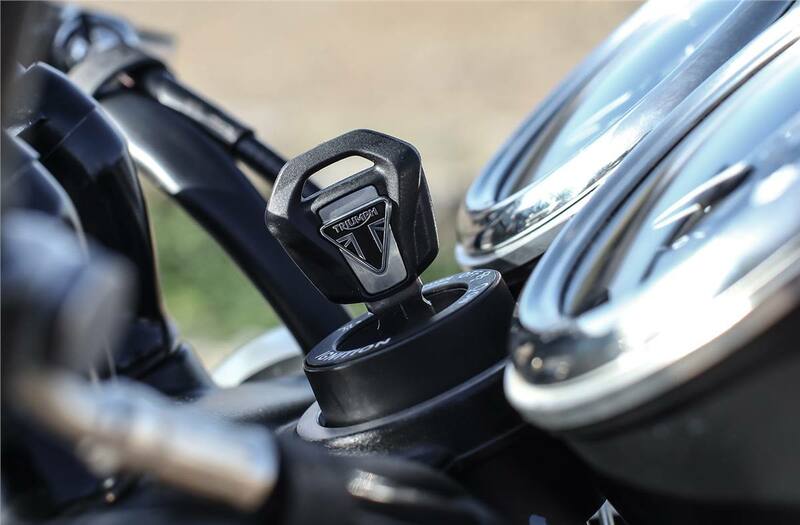 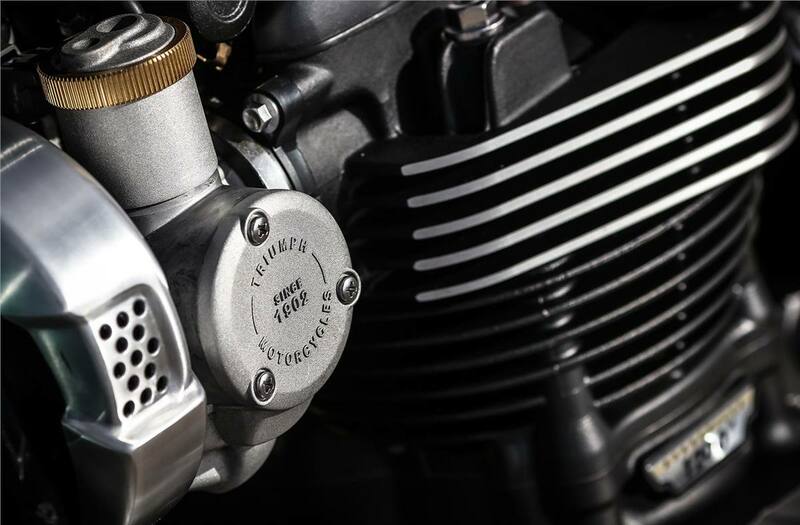 Torque Assist Clutch: Bringing a light touch and feel to the clutch control of the T120 Black, the torque assist clutch system makes it easy to ride, and ride longer. 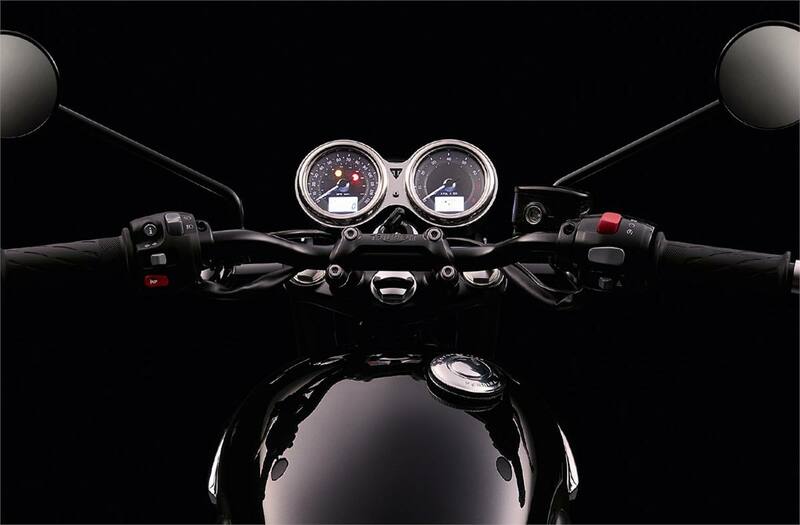 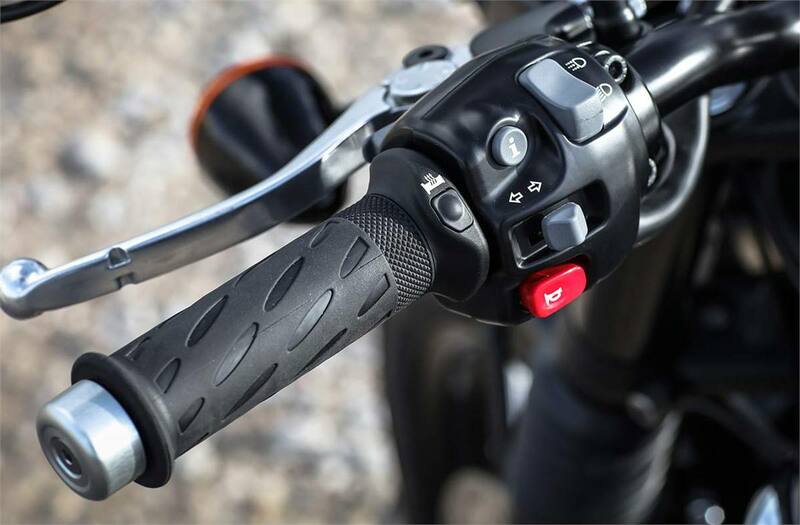 Heated Grips: High specification factory-fitted heated grips, with a 3-mode setting, come as standard on the Bonneville T120 Black. 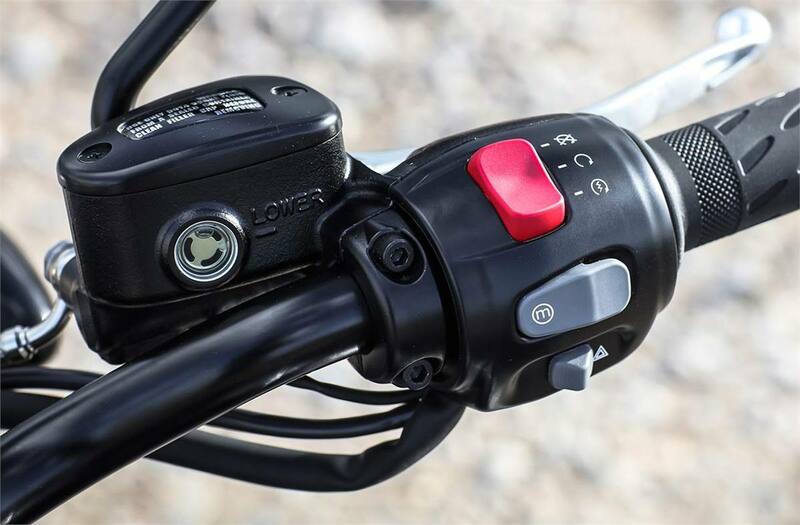 Fingertip Controls: The T120 Black switchgear presents a simple fingertip control scroll button for easy access to the key features on the beautiful digital clocks. 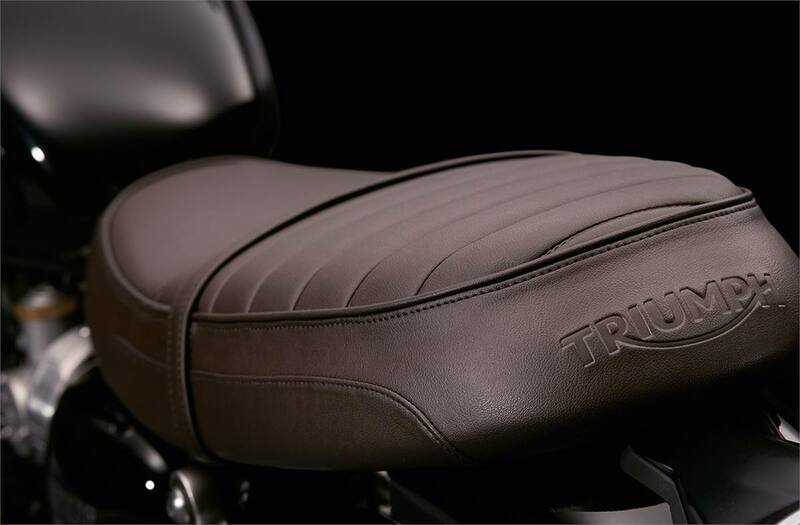 Dark Brown Seat: Triumph-branded brown rider and passenger seat panel gives optimum weight distribution to enhance level of comfort.